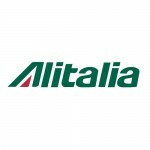 Italian flag carrier Alitalia has released a 20% off discount code valid on flights to Europe and North Africa. Bookings must be completed by midnight on Monday 8th February 2016. Travel can take place between 15th February and 15th July 2016, and the code ‘VALUK’ is valid on single and return fares to all European and North African destinations with the exception of France and The Netherlands. The airline’s multi-destination, ‘light’ and youth fares are not valid with the code.